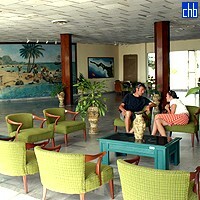 Hotel El Colony is located in the bay of Siguanea, just 45 minutes away from Nueva Gerona airport, which is just 35 minutes from Havana by plane. This colourful hotel dates back to 1958, when it began life as a Hilton, with a casino. 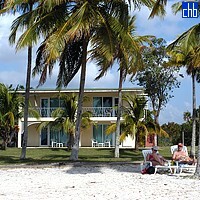 The El Colony Hotel is situated on a heavenly coral-colored beach of fine sand. Guests can benefit from the facilities offered by the International Diving Centre which gives access to some of the world's best dive sites. 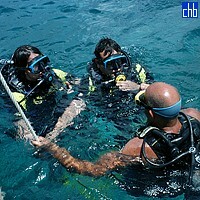 For more details please visit the El Colony International Scuba Diving Centre or the Hotel El Colony websites. 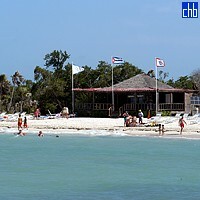 The diving sites are only accessable by boat. 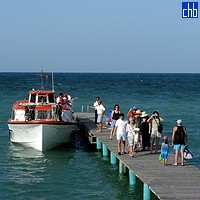 The boat & crew hire for the whole day is included with dive packages. 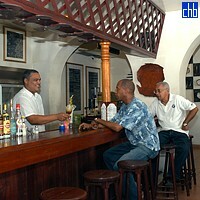 The spacious and sun-lit, but sparsely furnished lobby is enlivened by lime-green lounge chairs and has a small general store. 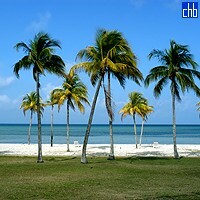 The 77 air-conditioned guest rooms and 24 bungalows have cool white tiles underfoot. 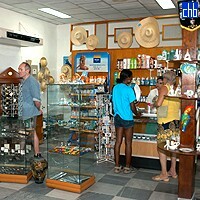 All have satellite TV plus telephones. 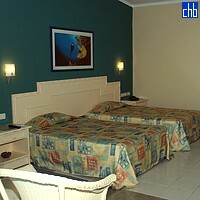 By day, guests can partake of various watersports, and cars can be rented for forays further afield. The nightlife is low-key, and the hotel is too far (about 45 kilometers) from Nueva Gerona to make a nocturnal sojourn a possibility.